Set of 11 decals for the 6 drop targets and 5 standup (stationary) targets on Williams Blackout pinball. 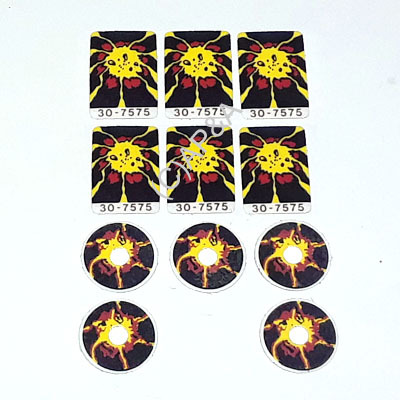 Replacements for drop target decal # 30-7575. Easy to install - just peel and stick.